I’ve been working on new Sweet Tea delivery systems and decided it was time to explore brines for my birds. 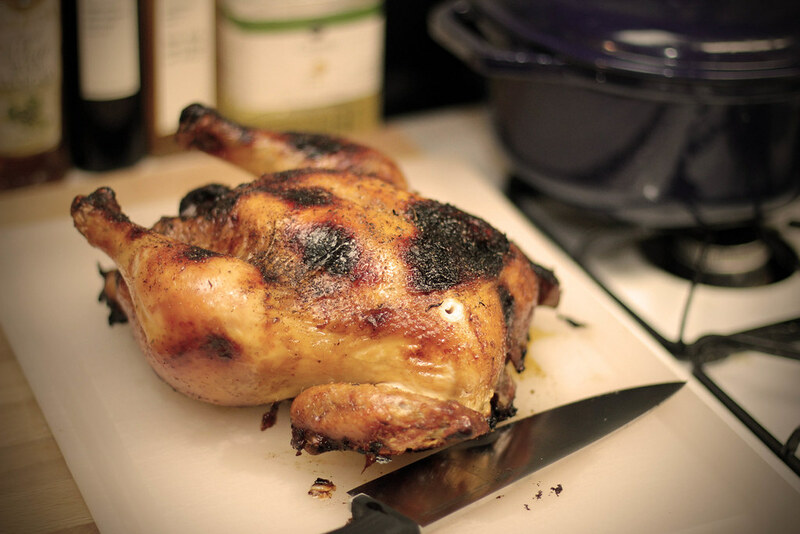 It was a beautiful idea for two great reasons, the first being brining a chicken will help prevent it from drying out during the roasting process and two it will help introduce some great flavor and character to the meat. Besides everyone loves chicken right? Get ready for some super moist Sweet Tea Chicken born in the South that is ready over night. My all time, most loved and hated, Creole Southern food is Red Beans & Rice , but it’s been an essential part of my Southern culture. Southern Culture, in general, is one giant melting pot, pulling from all continents and cultures, which is most prevalent in our cuisine. 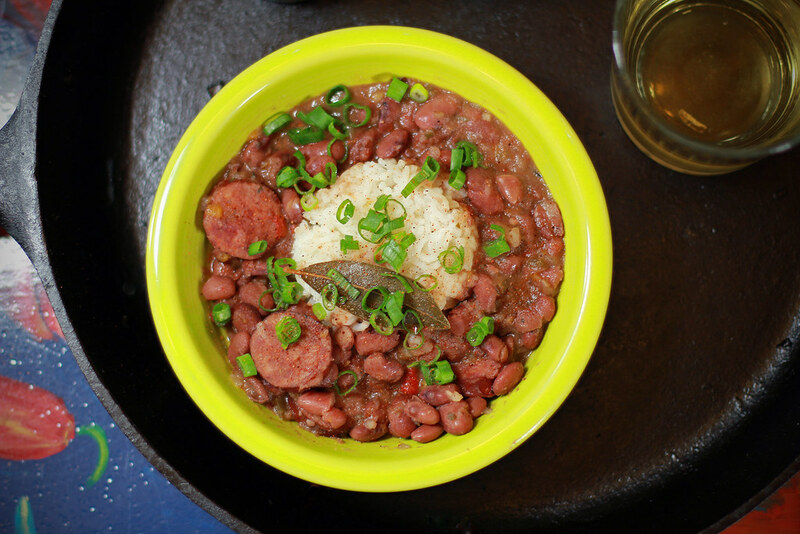 Red Beans & Rice is a dish adopted from Latin American beans and rice dishes such as Arroz Moros, and blended with the creole way of life including the addition of the trinity; onion, bell pepper, and celery and creole spices. Red Beans & Rice is also the ubiquitous meal I associate with eating 3 days straight when times were tough, to the point of never wanting to see red beans again. So here is “the” Red Beans & Rice recipe that over came it all.